Francis Goya was a Spanish painter and printmaker belonging to the romantic genre, attaining popularity in the latter half of the 18th and beginning of the 19th centuries. 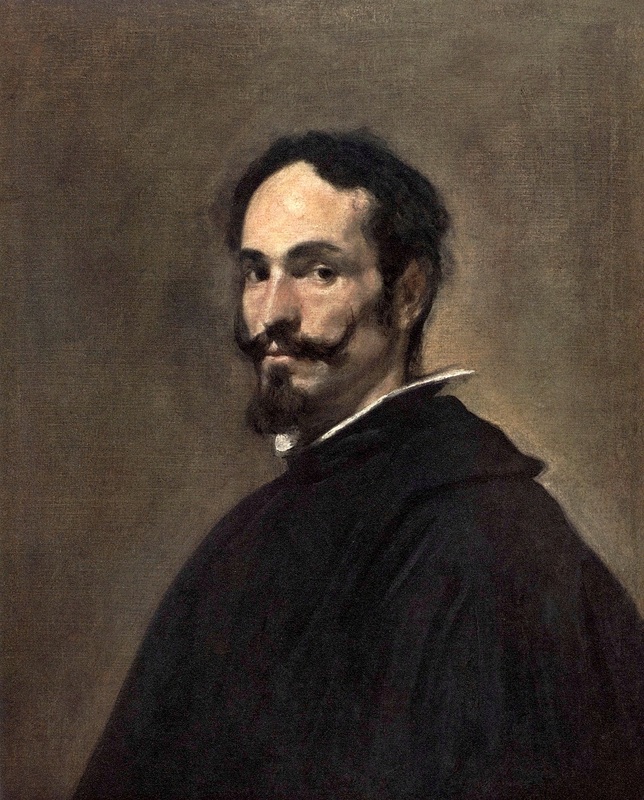 His most prominent works are his fourteen Black Paintings (1819 to 1823), reflecting his grievance and bitter feelings towards humanity post the Napoleonic wars, and its impact on Spain. Besides revolutionary themes, many of his paintings depict the royal family and their lifestyle, since he served as a court painter for a considerable period. 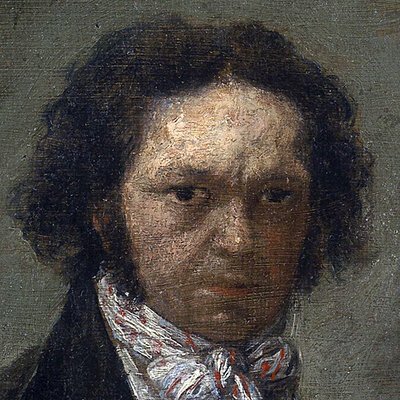 Plagued by a lot of physical and mental problems in his lifetime, Goya died at the age of 82. 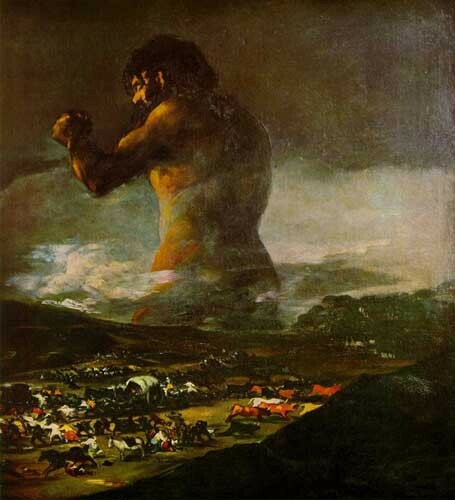 One of Goya’s famous Black Paintings, it portrays a haunting theme, showing Saturn eating up one of his sons. Interpreted in various ways, some find it to be a recreation of the famous Greek myth where Saturn consumed each of his sons after their birth in fear of being destroyed by them. 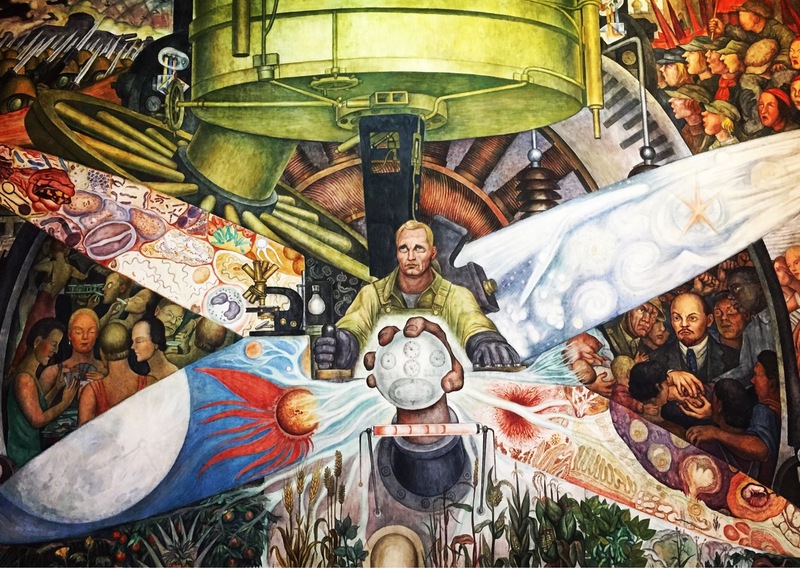 Others feel Saturn’s nakedness, unkempt appearance, hysterical nature and aggressive demeanor to be a representation of the autocratic state of Spain, tormenting its citizens, or even the French Revolution. 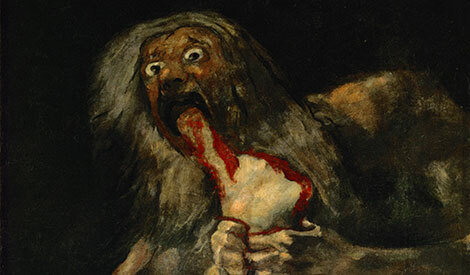 Goya is said to be inspired by Ruben’s work of the same name, though the latter’s presentation is said to be more horrific. Another popular Black Painting, the entire canvas has just a small dog, gazing upwards. Its solitary portrayal could suggest neglect and desertion, while its half-submerged body may mean darkness and incapability. However, the part of its head that remains towards light can be indicative of a ray of hope despite the destruction. The golden-yellow upper background, perhaps symbolizing the sky, is sharply contrasted with the brown, lower part, likely to signify the mundane world. Various names are used for this painting, like ‘The Half-Drowned Dog’, ‘Head of a Dog’, ‘The Buried Dog’ and ‘The Half-Submerged Dog’. A bold presentation indeed, depicting a naked woman reclined on a bed surrounded by pillows, with her eyes seductively fixed on the viewers. Some speculate the lady to be the Duchess of Alba, Goya’s alleged love interest, while a few identify her as the mistress of the then-Spanish Prime Minister Manuel de Godoy. 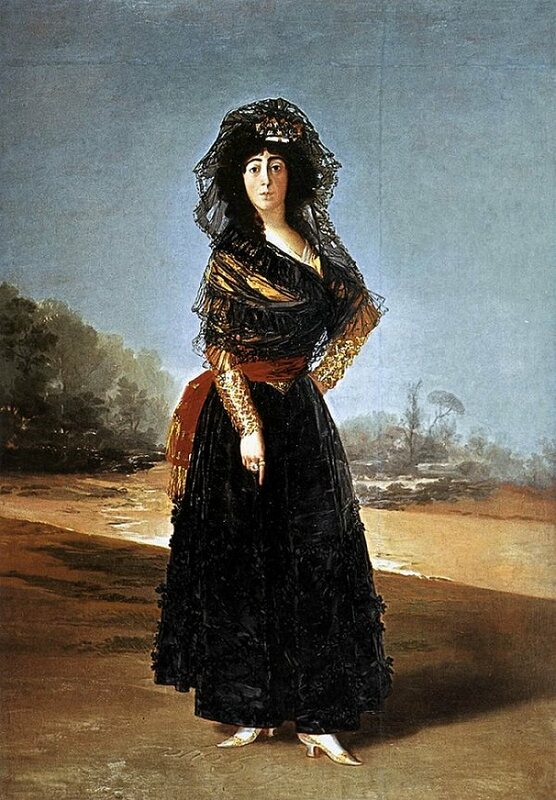 Goya later created a pendant painting of the same lady, but fully clothed (La maja vestida or the clothed maja). It is now placed next to the La maja desnuda at the Prado Museum. This artwork features the 13th Duchess of Alba, María Cayetana de Silva. The painting was made when she was 35 and is also referred to as the Mourning Portrait of the Duchess of Alba since she is seen wearing black clothes to grieve her husband’s demise. The White Duchess (1794), a companion painting of the Black Duchess, shows the lady in a dignified posture, dressed in white. 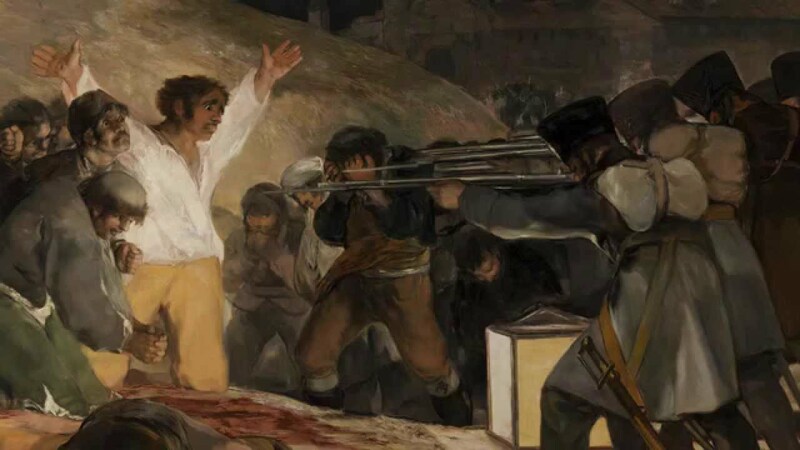 Revolutionary in word, subject, intention, and style, this artistic genius of Goya shows the resistance of the Spaniards to the French attacks led by Napoleon. Set in the wee hours of the morning, the painting centers on the attackers, and the innocent victims held at gunpoint. The usage of light vividly brings out the drama and conflict going on in the minds of the characters. The Second of May 1808 is its companion piece depicting the onset of the uprising. Here, Satan has been incarnated in the form of a goat, shown with two big horns, also wearing a garland and a crown of oak leaves. 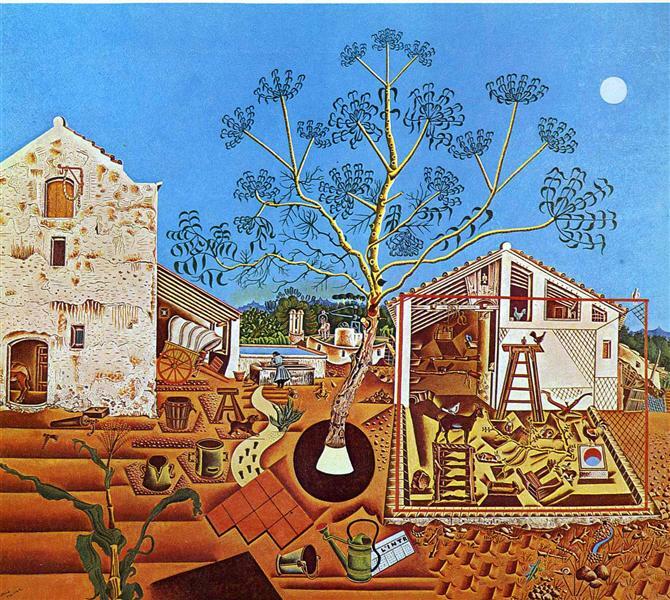 The painting, set in a deserted landscape on a moonlit night, with a coven of the young and old surrounding the devil, generates an uncanny feeling. 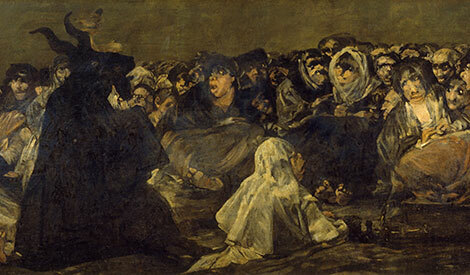 Its exact symbolism is not deciphered, though many see it as Goya’s way of protesting against the superstitious beliefs of the Spanish aristocrats. The brushwork appears clumsy and rough, perhaps deliberately done to represent the ghastly images. 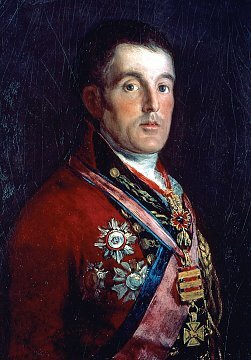 It features Arthur Wellesley, the first Duke of Wellington, who is shown in a red uniform, also donning the Peninsula Medal. It was lost, or rather stolen in 1961, and then retrieved in 1965, when Kempton Bunton, a truck driver, confessed of his offense. It is a life-size representation of the Spanish king, Charles IV along with other members of the royal family in fine costume and jewelry. 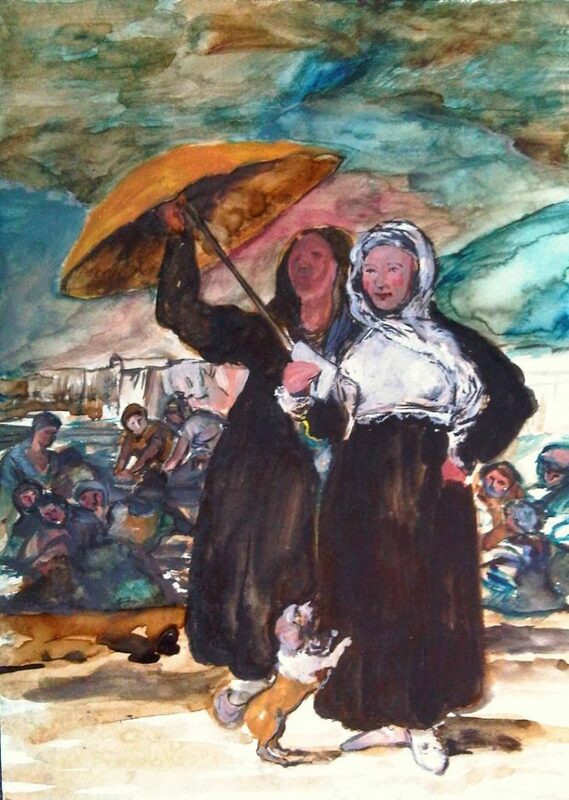 Goya plays with colors to picturesquely depict the skin tone, outfits, and hair of the characters. The queen stands at the center, embracing her daughter Maria Isabel, and son Francisco de Paula. It also features an unknown woman, standing next to the little girl, speculated as the fiancé of the king’s elder son, Ferdinand VII. 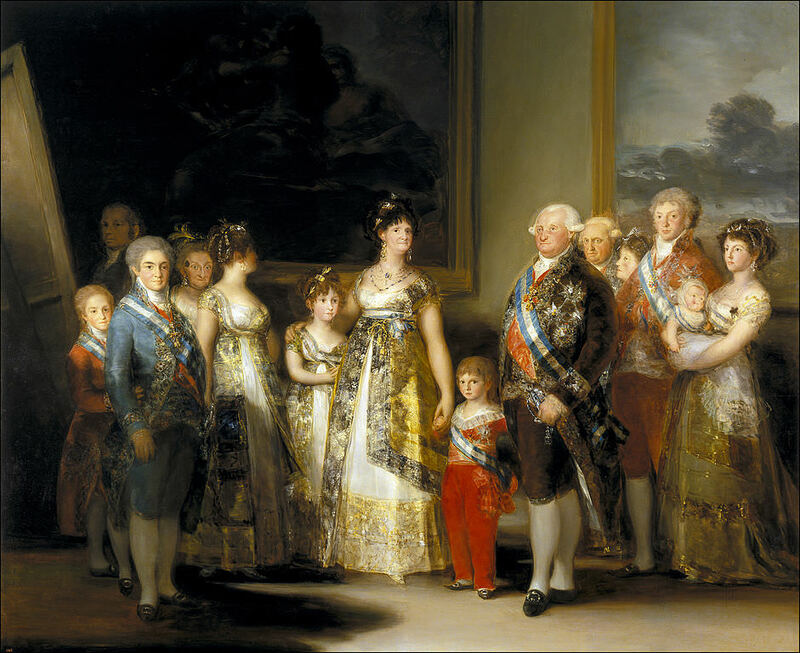 Though some claim this painting to be Goya’s way of satirizing the royal family, many critics have dismissed this notion. The Crucifixion of Jesus Christ has been presented following the neoclassical style of painting. 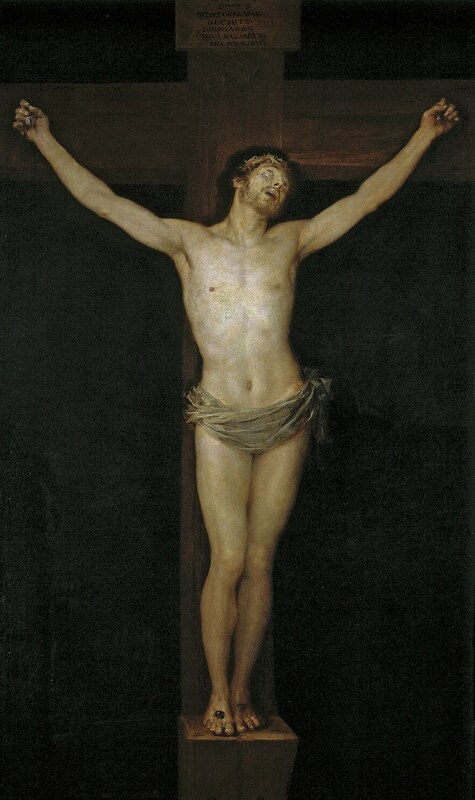 It is set against a black background, with Christ’s head inclined to the left, perhaps glancing upwards in a dramatic way. To modernize his presentation, he concentrates more on the expression than drama and there is no portrayal of bloodshed in the painting. The themes of insanity and mental unrest had always interested Goya, and this work is no exception. Here an asylum is presented with the inmates behaving in an absurd and lunatic way. It is also an insight into Goya’s failing physical and mental health alongside the turmoil going in his mind. Goya made a personalized painting of his youngest son Manuel who died at the age of eight. 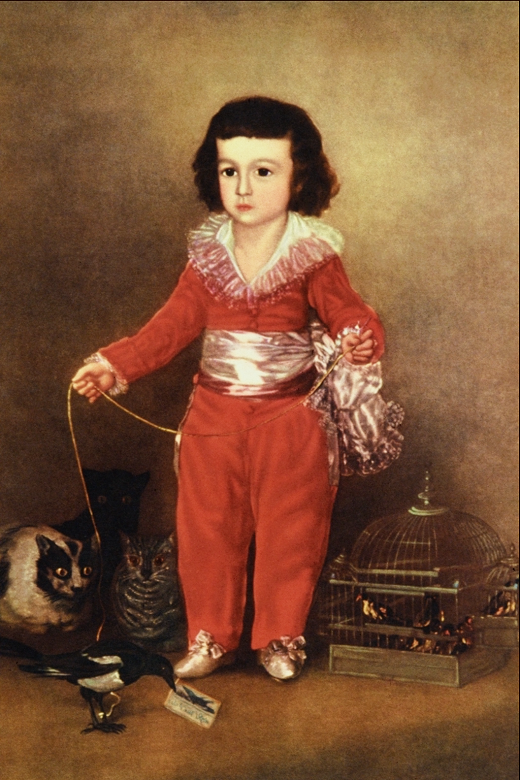 The little boy is seen dressed in red, accompanied by his pet magpie which holds Goya’s calling card in its beak. Caged finches and three cats, looking firmly at the magpie are also seen in the frame. The transitoriness of innocence and childhood might be the underlying theme of this painting. Though making portraits of children along with animals was a common norm in Spanish painting, the finches and cats are said to symbolize the innocent soul and evil forces respectively. Also known as El Gigante and La Tormenta, it shows a giant standing aggressively with raised fists, moving towards the left of the portrait. Though there is ambiguity in its interpretations, it bears a similar theme to his Black Paintings, highlighting upon devastation and doom. 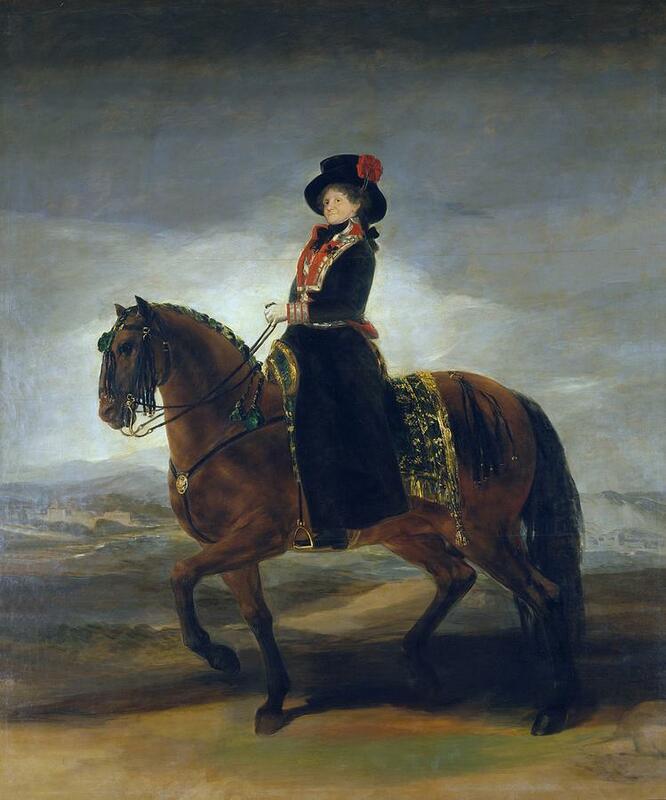 Maria Luisa of Parma, wife of Charles IV is seen on a horseback, clad in a colonel’s uniform. The royal lady’s bold and outgoing personality may have been admired by Goya. This one is a pair to the other equestrian portrait of King Carlos IV which is also kept at Museo del Prado. This painting was made at a later point in Goya’s career, featuring a lady who is intently reading a letter. The frame also includes a dog, possibly a Bichon Frise, craving for her attention. 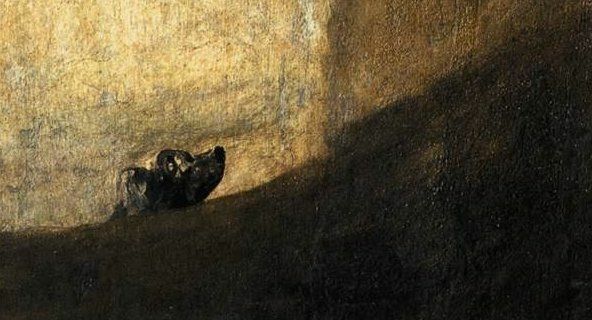 Besides the Bichon Frise, Pugs were also given an important place in most of Goya’s artworks. Of the 80 etchings made by Goya, this one is the 43rd. 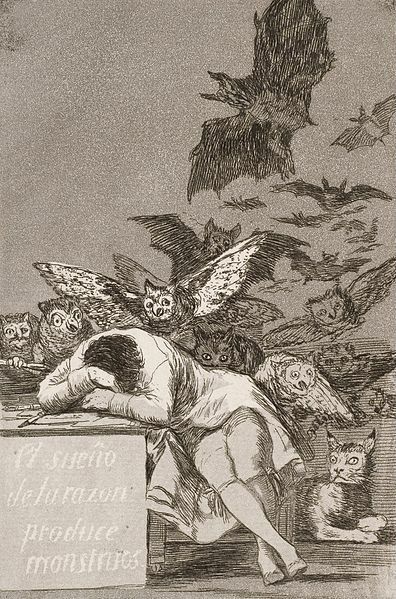 The painter imagines being in slumber as his drawing tools lay scattered, dreaming of eerie things like owls and bats. In the frame we also see a cat, sitting in a corner with wide and alert eyes. Collectively, these animals could mean melancholy, doom, and depression. His obscure dreams are said to be a projection of the corrupt nature of the then-Spanish society. 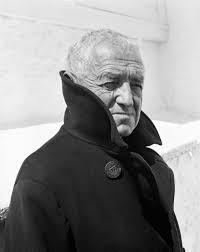 Some of his other significant works include Heads in a Landscape (considered to be the 15th of his Black Painting which actually went missing and was separated from the rest), Women Laughing, Fire at Night, The Duchess of Alba & Her Duenna, and La Tauromaquia (a 33 print series depicting scenes of bullfighting).